Each year the beautiful, fresh spring blooms are celebrated with flower festivals featuring stunning flower displays held all around the world. The flower arrangements, floats and displays are expertly put together by the greatest flower designers and artists in each country who put in an incredible amount of work to create the most striking flower exhibits. 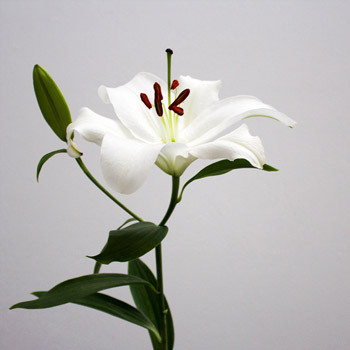 With the days getting longer and the weather getting a little warmer, it’s an exciting time for us flower enthusiasts as spring approaches and our beautiful blooms come to life! In honour of springtime, join us on a tour of the biggest and best flower festivals from around the world. 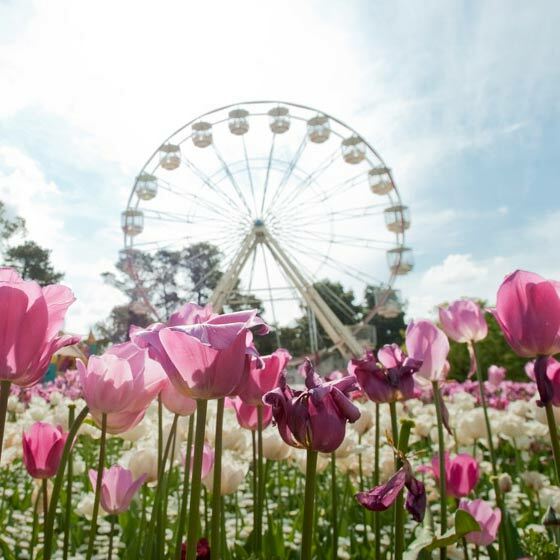 Canberra is home to the Floriade festival; Australia’s biggest and best flower festival. The festival is held annually in Canberra’s Commonwealth Park from the 15th of September to the 14th of October. The event promises 30 days of beautiful fresh blooms, food and entertainment for kids to adults, flower aficionado or not. The festival features over one million flowers, magnificent floral exhibits and the NightFest; a four day after-dark event that showcases illuminated floral arrangements, live music, international acts, light shows, night markets and even an outdoor cinema. The Chelsea Flower Show has been running since 1862 and prides itself on being the world’s most prestigious flower show that showcases extravagant flower displays and leads the way in garden design innovation. 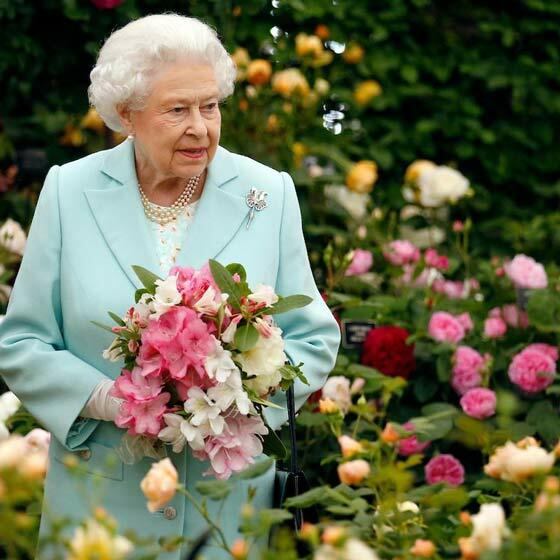 The esteemed four day event is run by the Royal Horticultural Society, held at the Royal Hospital Chelsea. 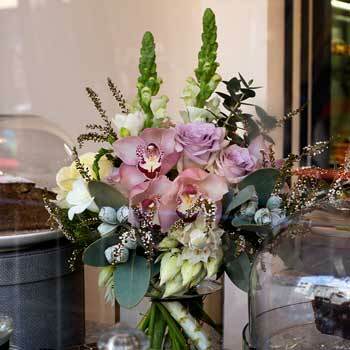 The event attracts dozens of celebrities as well as the royal family each year, which is why flower show attendees usually dress up in formal wear. Bloemencorso is the annual flower festival of Belgium and The Netherlands. 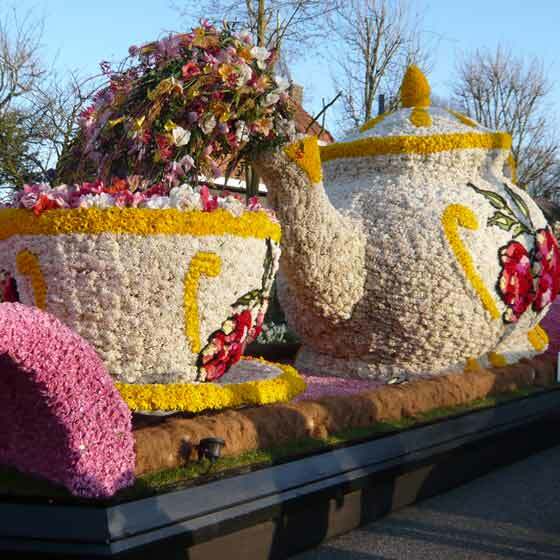 The four day festival features a parade of floats, cars and sometimes even boats transformed into masterpieces with the help of over a million beautiful blooms. The exhibits feature their infamous tulips, daffodils, dahlias and hyacinths. Bloemencorso week sees flower parades and festivals held in many towns and regions in The Netherlands and Belgium to welcome spring. Though Bloemencorso Zundurt is the largest flower parade in the world, and the displays are made entirely by volunteers! 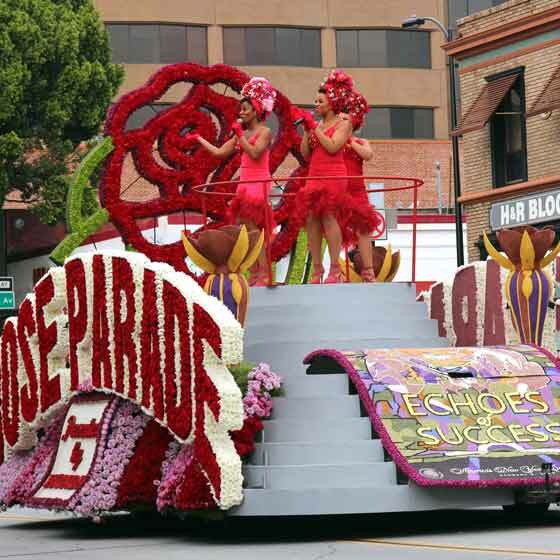 Originally started on the 1st of January in 1890, the Pasadena Rose Parade is an American New Year tradition. On New Year’s Day each year, the streets of Pasadena, California are filled with rose decorated floats, marching bands and equestrians welcomed by thousands of onlookers. Following on from the parade is Pasadena’s famous New Year’s Day Rose Bowl college football game. The whole day is broadcast on multiple television networks across the country! The Batalla de Flores, or the Flower Battle, is a floral parade that marks the end of the month-long festivals that is the Feria de Julio. The Feria de Julio is a festival held for the locals that includes entertainment such as an open-air cinema, fireworks and concerts. The festival has been around since 1908 and the idea behind the month-long event is to try and convince locals to remain inside the city of Valencia during the summer. The Batalla de Flores itself sees the crowds pelt flowers at the women in the parade who are equipped with tennis racquets to defend themselves! Besides the flower battle, the day is filled with impressive flower decorations, stalls, brass bands, floats decorated with beautiful blooms and of course, a lot of Sangria. Just outside the city of Rome is a town called Genzano di Roma. In June of each year, the town puts on a flower display on the weekend that follows Corpus Christi. 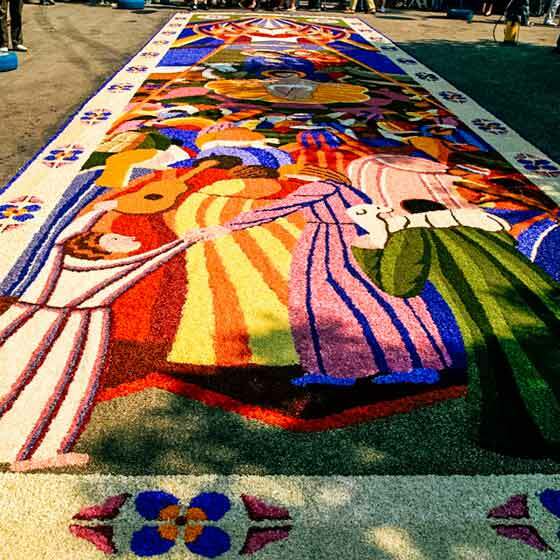 The display consists of a floral carpet that covers the entire street of Belardo with religious patterns, shapes and famous paintings pieced together by local artists. The flower display is kept for two days before the school children are invited to come and trample over the carpet to mark the end of the festivity. 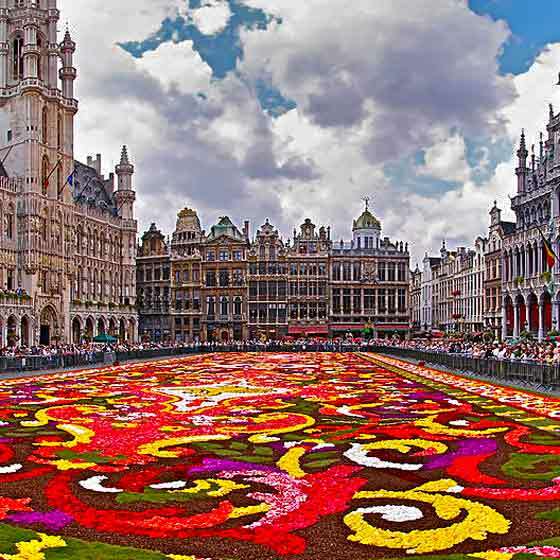 Every two years marks the special event that is the Brussel’s Flower Carpet. During this festivity, a carpet of fresh begonia flowers is laid on the main square in front of the City Hall by volunteers and lasts for four days. The first floral carpet was laid in Belgium in 1971, but it has been an ongoing tradition since 1986. The most recent one only just passed; it was held from August 16th to August 19th in 2018 and over half a million flowers were used! The most colourful floral celebration in the world is hosted by the Chiang Mai town in Thailand in the first week of February each year, featuring the Damask rose, a native flower to the city. 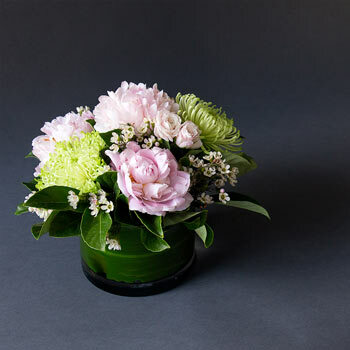 Besides the Damask rose, other beautiful and colourful blooms are featured, such as orchids, chrysanthemums and more. 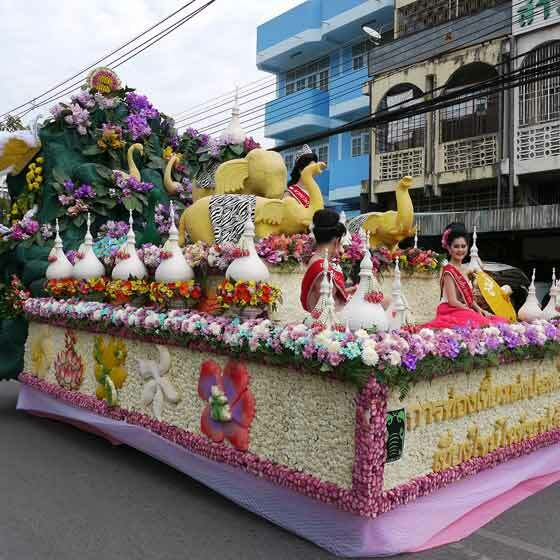 The flower festival features a parade of floats carefully decorated with flowers, traditional dance and music. 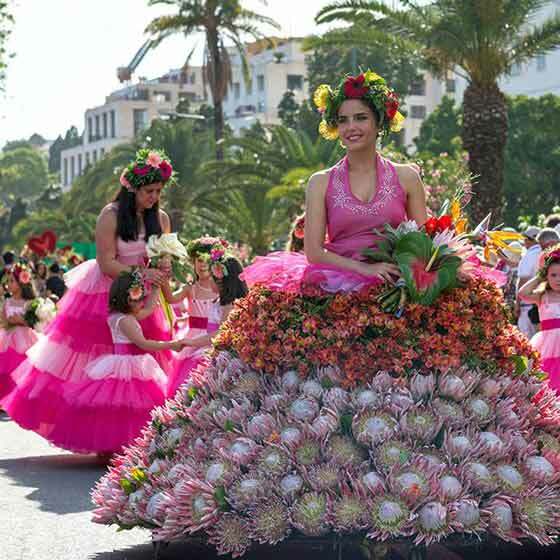 The spring Madeira Flower Festivals held in the city of Funchal each year plays host to an event like no other. The festival combines beautiful blooms, food, arts and music into an event that pays homage to the Portuguese culture. There is a parade that passes through the city showcasing brightly dressed dancers with beautiful floral pieces throughout. Another great feature of the Festa da Flor is the Wall of Hope, which is a wall filled with blooms to symbolise the peoples’ hope for peace in the world. Check out our Flower & Garden Shows, Spring Flowers, and Travel Inspiration Pinterest Boards for more. 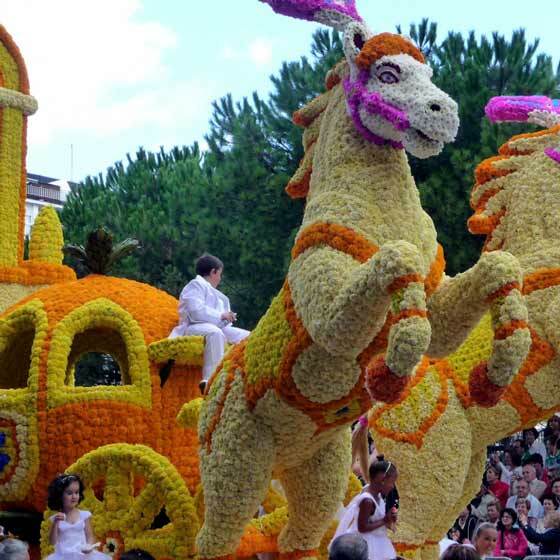 What’s your favourite flower festival from around the world? Head to our Facebook page and let us know! 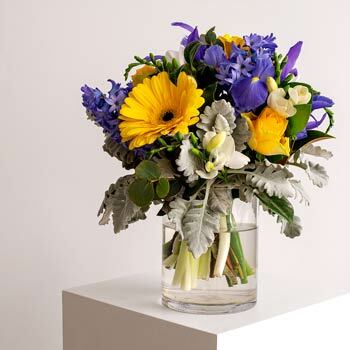 Find the perfect spring flower bouquet available in your area, such as Melbourne, Sydney or Adelaide and receive same day delivery if you order before 2pm AEDT Monday to Friday and before 10am AEDT on Saturdays!